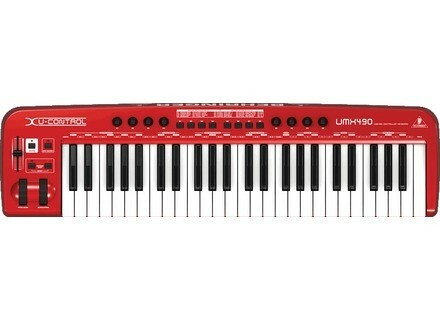 U-Control UMX490, 49-Key MIDI Keyboard from Behringer in the U-Control series. It worked fine on Vista. It's good gear, especially for me as a novice. It's USB powered, offers lots of possibilities, but after I switched to windows 8.1 pro it's been catastrophic, the sound crackles and some software programs aren't detected. Nice keyboard, very clear manual, the overall setup is pretty complex for a beginner. I have never used channel selection or patches. I've used it for 6 months and hadn't used any other models before. The use of several instruments. Its value for money was up to my expectations. If I had had a bigger budget I would've bought an akai.